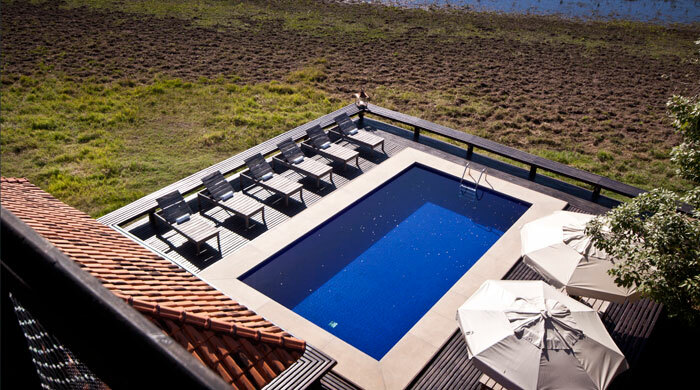 The beautiful, remote and secluded Caiman Ecological Refuge is part of a 53,000 hectare ranch, located 36 kilometres from the small town of Miranda in the spectacular surrounds of Brazil's Pantanal wetlands, arguably the country's finest wildlife viewing region. 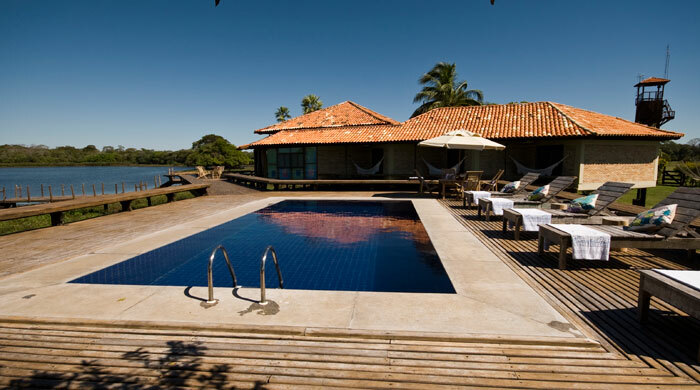 This vital centre for nature conservation plays host to two of the Pantanal's most exclusive eco lodges - Baiazinha and Cordilheira - offering a superior standard of accommodation and the chance for visitors to experience a genuine wildlife and conservation experience. 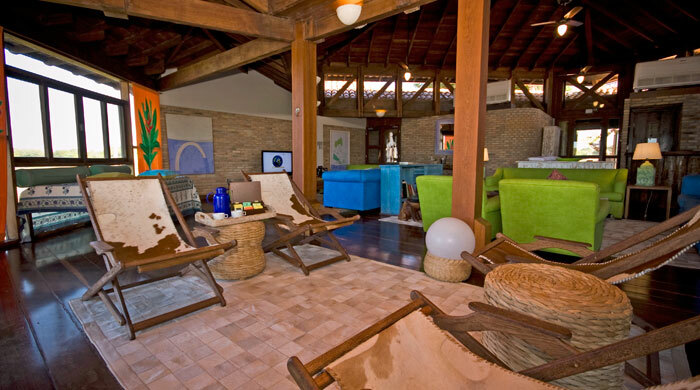 The ranch features two lodges, which are located 22 kilometres apart and function independently of each other. 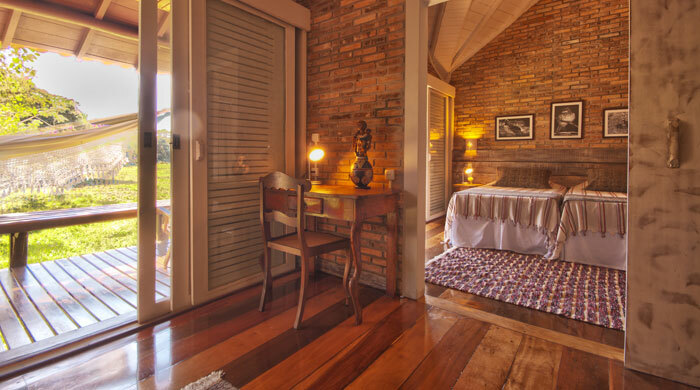 Baiazinha Lodge, built on stilts and overlooking a clear-water lake, offers six en suite guest rooms, while Cordilheira, located at edge of the forest of the same name, has five spacious suites. 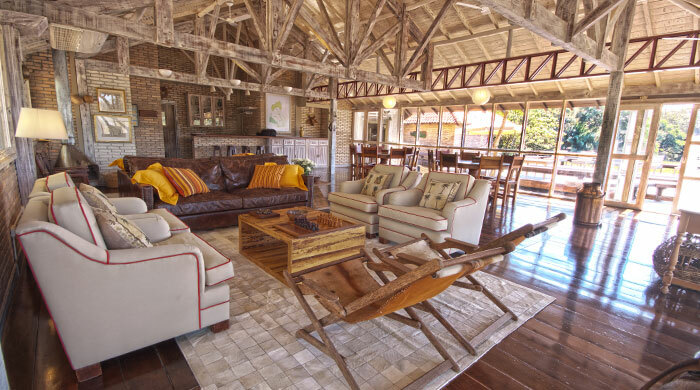 Both lodges offer comfortable, contemporary lounge areas with sofas, TV, DVD and games. 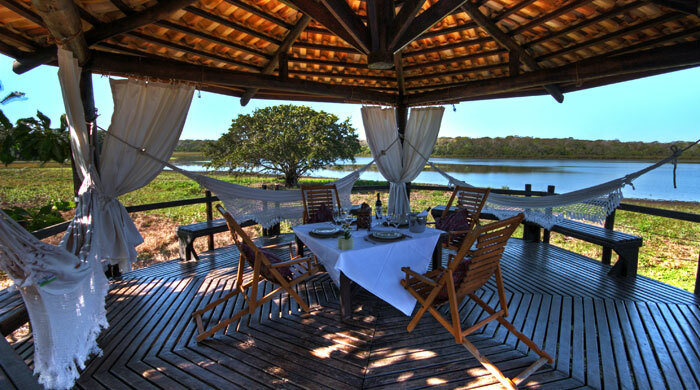 Both self-contained lodges feature their own on-site restaurant serving a menu of local Brazilian and international dishes for breakfast, lunch and dinner, and a pool for cooling off after a day exploring the Pantanal. Each lodge also features a full range of activities with their own vehicles and fully trained and extremely knowledgeable guides. 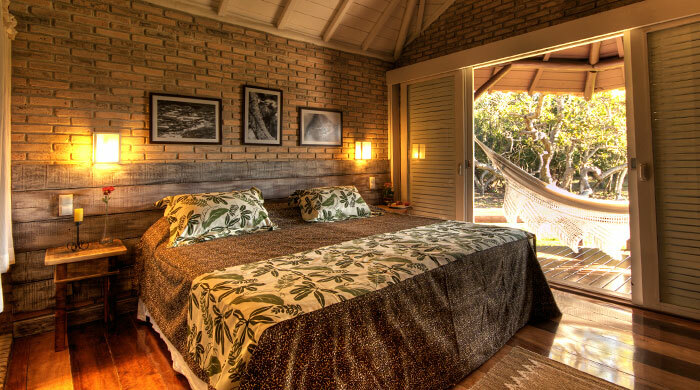 Caiman Lodge, the first ecotourism operation in the Southern Pantanal, was established in 1985 with the aim of offering visitors the chance to experience first hand the region's incredible wildlife and unique culture. 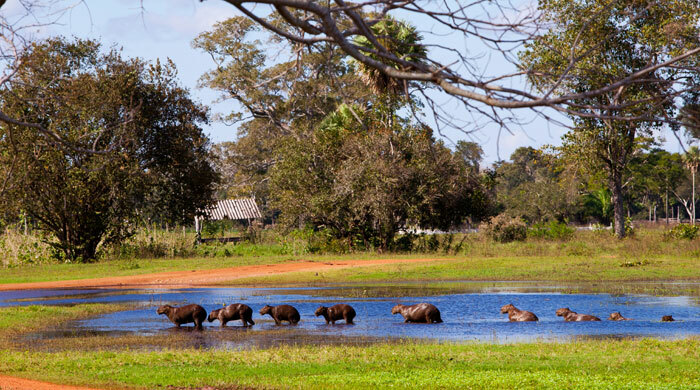 Today Caiman Ecological Refuge operates one of the most important nature conservation programmes in the Pantanal and even has its own permanent resident's community to house employees and their families, with medical and dental care and a school. Some of the refuge's most important conservation projects focus on the region's beautiful blue hyacinth macaws and America's largest predator, the jaguar. 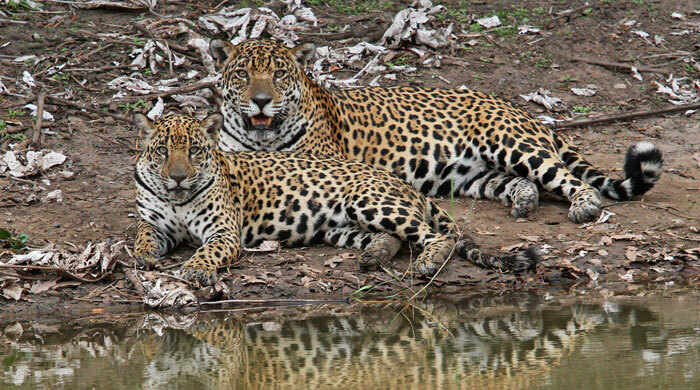 During high season, guests at both lodges will have the chance to enjoy a jaguar-tracking safari in search of this elusive big cat. 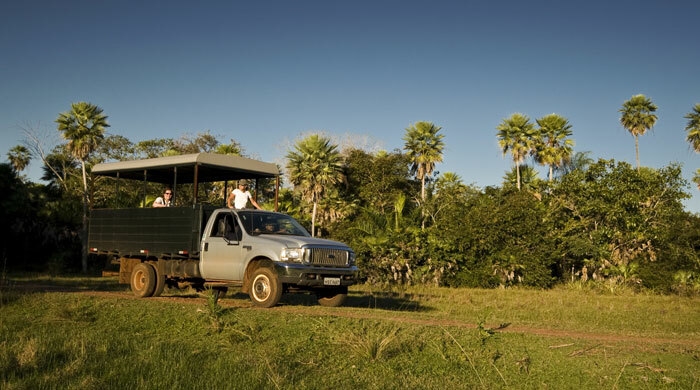 Other regular activities include walking tours, caiman tours, photographic safaris, canoe trips, nocturnal safaris and astronomy workshops (high season only).